Some of the Classical Guitar "Greats"
1500 BC - Persian Tanbur (Persia is an old name for the country of Iran). The word guitar is derived from two old Persian words, "Tar" meaning string, and "Char" meaning four. 1400 BC - Hittite Guitar - The Hittite guitar had a long fretted neck, a flat top, a flat back, and concave sides. Birth of Christ - Greek "Tanbur" The "Tanbour" has remained popular since medieval times. Its derivatives include the Greek Buzuki, the Romanian tamburitza, and the Indian sitar and "tambura". Circa 1400 - Circa 1600 AD Renaissance Period - The Renaissance was a period where music became more expressive in comparison to the medieval period in terms of dynamics, rhythm, harmony, form and notation. 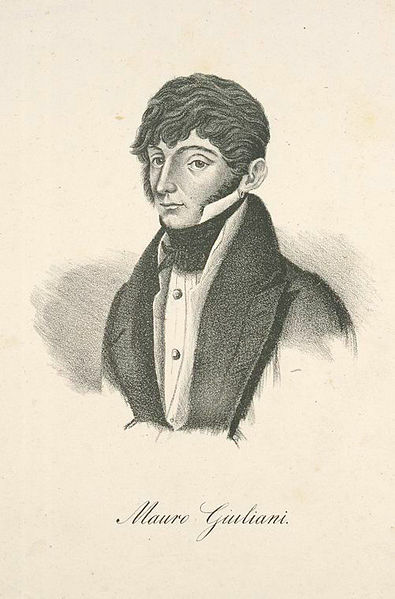 Luis Milan - Born Circa 1500 Died 1562 - Luis Milan was a Spanish composer and vihuela player who wrote the earliest collection of accompanied solo songs of the renaissance period. 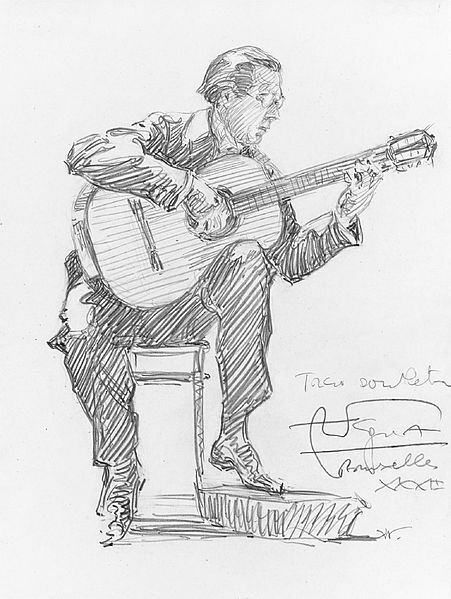 He also wrote fantasia's and pavanes for the vihuela. Antony Holborne - Born 1545 Died 1602 - We know almost nothing of the life of Antony Holborne. The original document date is 1562 when we now know he entered Cambridge University. Alessandro Scarlatti - Born 1660 Died 1725 - Alessandro Scarlatti was the father of the famous Domenico. Considered to be a fine Baroque composer, and even had the patron ship of Ferdinando de' Medici of Florence, where he was able to compose his operas in the private theatre. Giuseppe Antonio Brescianello - Born 1690, Died 1758 - Giuseppe Antonio Brescianello was a contemporary of Bach, and although born Italian, spent much of his musical life in Bach's homeland. He spent time as a "Kapellmeister" in Germany. 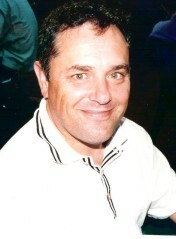 He suffered being in and out of work due to Court financial problems, but mainly was perceived as having "special knowledge of music and excellent skills. 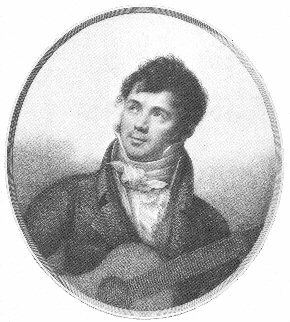 Joseph Küffner - Born 1776, Died 1856 - Joseph Küffner, born in the year of the American Revolution, was a German composer and musician. 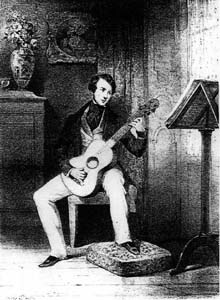 Primarily a court violinist and military bandmaster, he did, however, write some pretty good music for guitar. He was no "slouch" composing no less than seven symphonies! Andres Segovia - Born 1893, Died 1987 - It is a generally accepted notion that Andres Segovia is the most popular and important figure in the whole history of classical guitar. 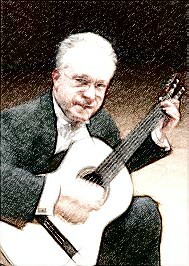 What would have been the fate of classical guitar if not for an ignorant, mean old violin teacher? 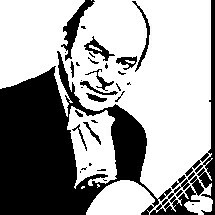 Narciso Yepes - Born 1927 Died 1997 - Narciso Yepes was to become a world famous classical guitarist of the first rank. Some say he rivaled Andres Segovia for warmth and purity of tone! A not to be scoffed at compliment! Oscar Ghiglia - Born 1938... - Oscar Ghiglia was born in Livorno, Italy, to a pianist mother and a painter father. While attending Rome's Santa Cecilia Convervatory, he participated in summer master classes. These were run by Segovia. David Tanenbaum - Born 1956... - David Tanenbaum is a prolific player, writer and commentator on classical guitar. 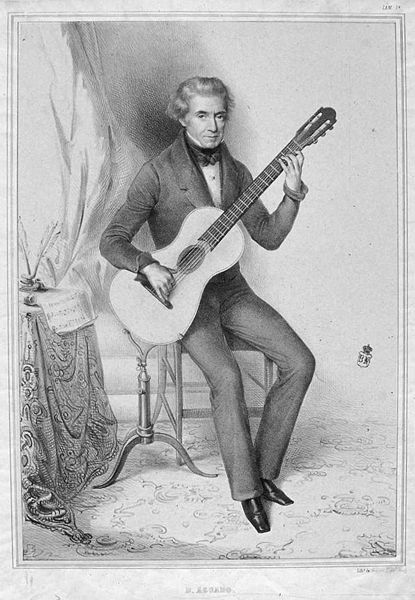 Born into a musical family, he played both cello and piano before turning to classical guitar at age ten. Tanenbaum has won prestigious awards over the years. This includes the Carmel Classical Guitar competition and second in the famous Toronto International Competition in 1978.